Paper Daisy Crafting: Online Extravaganza is now on!! 10% off loads of products. Online Extravaganza is now on!! 10% off loads of products. 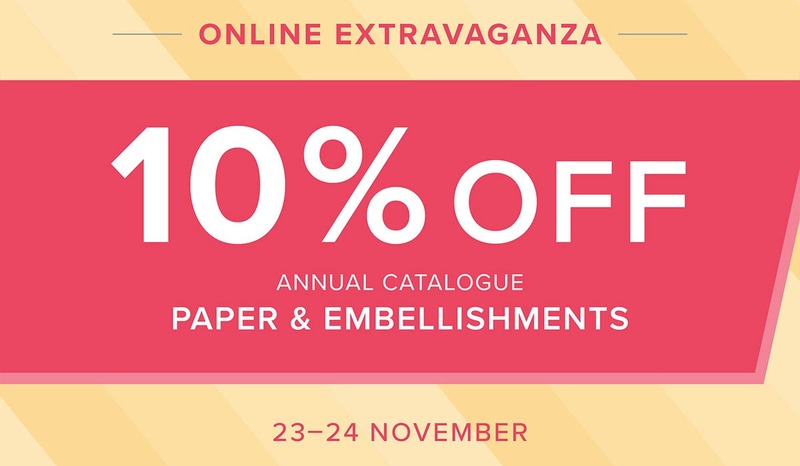 Yes, the Online Extravaganza has begun and for today and tomorrow it is all about cardstock, papers and embellishments, including ribbon. Just below you can find all the products which are included - just click the picture to go see and order in my online shop. Or if you're local to me, let me know what you'd like and I'll add it to my order going in tomorrow evening!